A colossal moment in history! At least in my books! MG and I gave Chubs a bath for the first time! We always joke that his head smells funny. MG says it’s cause he has stinky breath, but I think it might be because I kiss him too much… True story. Hence the reason why he got washed! MG had been doing some research on bathing techniques for cats, especially ways to destress the cat during a bath. 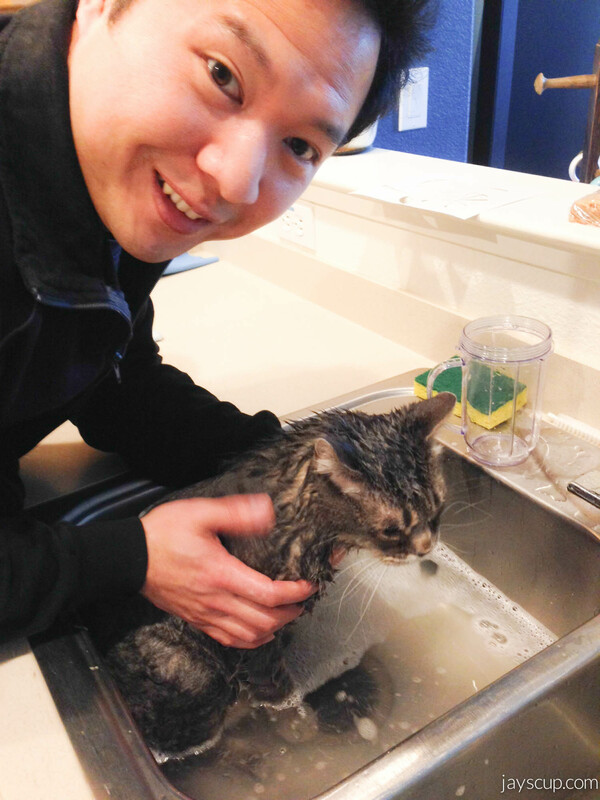 It was suggested to wash a cat in the sink instead of a bathtub because a tub is synonymous to a never-ending ocean. So we did that. I gave him some turkey afterwards as a treat. 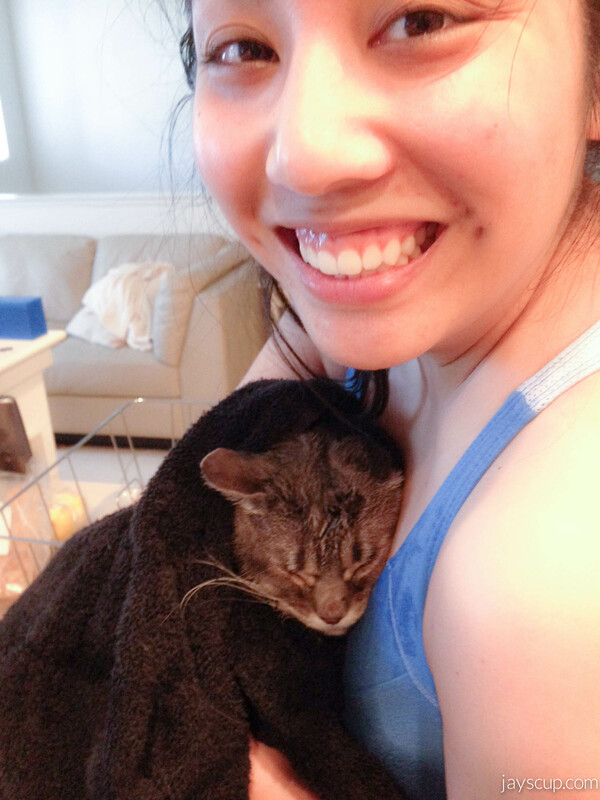 I think Chubs enjoyed his bath because it was nonstop purring after. He likes to be clean and now he smells so fresh! I can’t… this picture is just toooooo fricken cute! If you have a cat, do you wash him/her? Is it a good or bad experience? And how often? 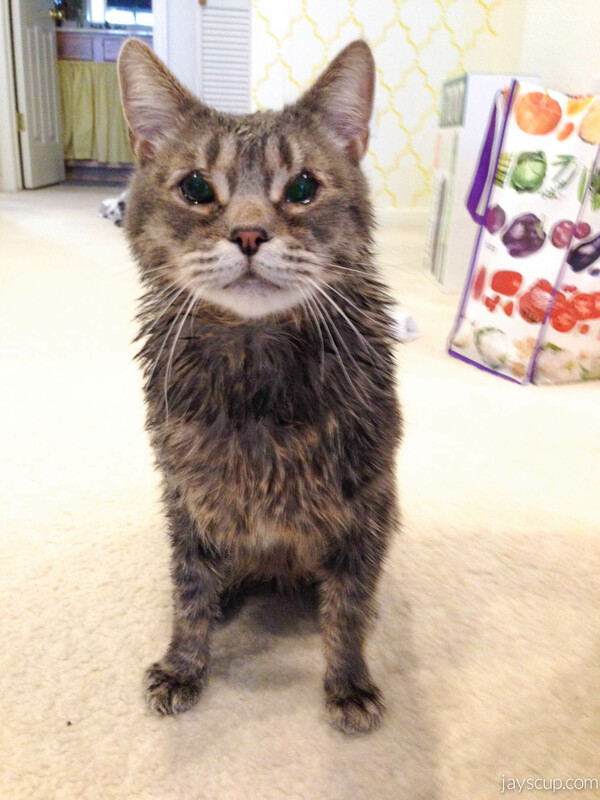 This entry was posted in Life and tagged bath, cat, chubalee, chubs, kitty, life, wash. Bookmark the permalink. That is the most adorable thing ever!!!! <3 <3 <3 His little stinky self needed this really bad!